Patrick Vauvy`s Domaine is now producing benchmark single varietal Loire wines. 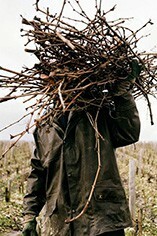 He took over the family Domaine in 1991 after studying viticulture and oneology at agricultural college. Today the Domaine now has 18 hectares of vineyards planted with Sauvignon Blanc, Gamay, Cabernet Franc, and small amounts of Chardonnay and Cot. The vineyards are located on predominantly sandy soils on the north bank of the Cher Tributary. All the grapes are hand harvested and the majority of the red grape varieties are then fermented using a semi-carbonic maceration, as in used in Beaujolais. A small proportion of Sauvignon Blanc undergoes a short `maceration pelliculaire` which adds an attractive depth to the white wines. 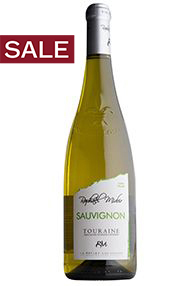 This consistently delicious Sauvignon Blanc comes from one of the Touraine appellation’s best addresses. 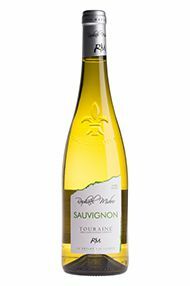 It’s a blend of fruit from numerous parcels, which Raphaël expertly assembles to create a wine that’s fresh and expressive – with enticing white fruit and herbaceous aromas – yet rounded. It’s raised exclusively in stainless steel, and bottled in the spring following harvest. A supremely versatile wine, try it with fish, chicken, salads or oriental dishes. Drink now to 2020.